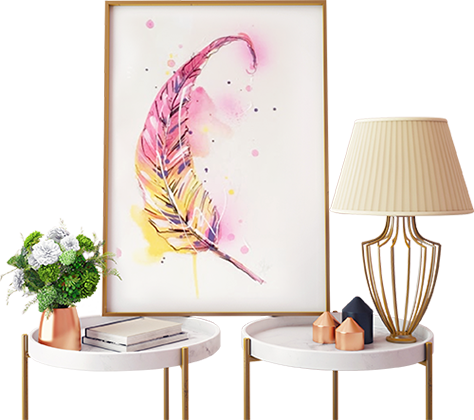 You have a beautiful print you know will enhance your room and you want to get it up on the wall. You look around at options and find so many choices and decisions need to be made… Colour, style, texture, size and conservation… Let me help you break it down. Materials – Quality lasts. We choose quality products. Our timber is timber, our glass is glass and all the products we use are carefully considered for conservation of your artwork. We’re careful to avoid using acid laden materials that will cause damage to your piece. We don’t use plastic/synthetic mouldings or acrylic as they are not strong and will discolor over time. Professional Consultation – We will take the time to consider your art, your décor and your personal taste to choose something that perfectly suits you. We have decades of experience in Framing, and customer service. Craftsman built – Each frame is handmade, onsite, by our experienced team. It is carefully considered and made to be structurally sound, to show case your art, and to offer your art protection. Sizes – Department store frames have set and limited sizes available, so if your picture is not that size, bad luck. Our custom-made frames will fit like a glove because they are made just for you.